And for once, I mean, "One hell of a Monday" in a good way. Eventually I'll make this one available at other outlets and for download here--and it'll always be free. But for the first few weeks it's going to be GR only. I'll give a heads up when it goes elsewhere, though. Adam (tattoo guy): Oh wow. They gave me Kevin Sorbo pecs. The best. Leith (guy in back): That's hot. All you need is a kilt. [He has a thing.] ... Do I look like that? Me: They look like big Minecraft players, right? Because yes, there is a scene where Adam and Leith are playing Minecraft. There is much discussion of killing chickens and meatpops that made Editrix Raven snort, apparently. Which is totally my brother's fault. I've been working superhard (and maybe reading comics a little) on a bunch of things lately -- and freakishly enough, they're all fae related. Possibly because it's June. Midsummer's almost here, and you know what that means. This year, I'm adding to the fae mischief. 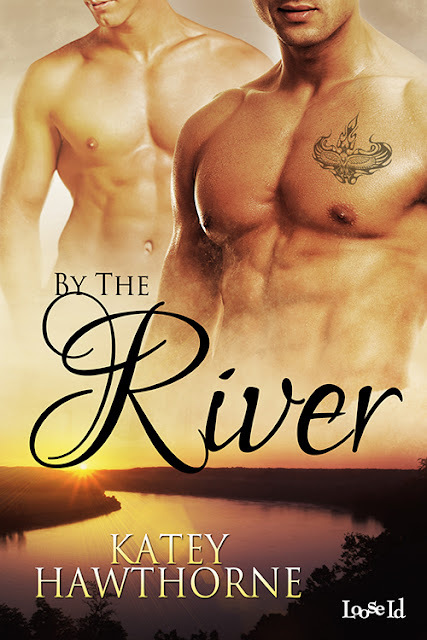 First of all, part of the hard work has to do with edits on By the River, which is... well, like I said, not exactly a fairy tale, but a contemporary with a fairy tale feeling. 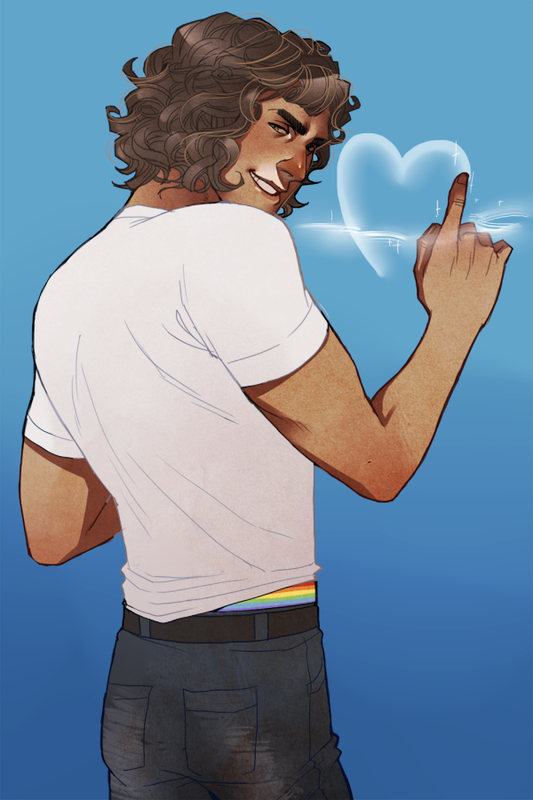 In celebration, I've added a nice big excerpt to the page, in which Adam helps Leith find his perfect tattoo. Now, this excerpt has been edited, but hasn't gone through final line edits, so please excuse any hasty mistakes. Just thought it was time to get the page going proper, seeing as we're looking at July 31. So here's a massive "squeeeeeeee!" from me. I'll add another excerpt before then, too. In other fae news, I'll soon have some fabulous artwork to share for my Love is Always Write story, which is coming... well, soonish. It's meant to be a surprise, but yay, artwork soon! I've seen preliminary sketches by the fabulous artist, C. Bernard, and it's super adorable. 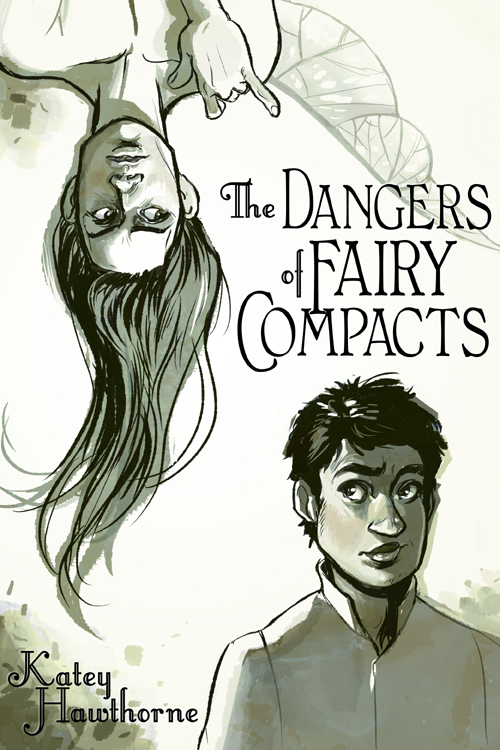 For more info on what's up with my story, the novelette-sized The Dangers of Fairy Compacts, and what's in store for the future there, hit up the Fairy Compacts page. And last, but most certainly not least, I'd like to give a shout-out to Fae Awareness Month. There's an excellent giveaway there all month, and a lot of the names involved will be familiar. So here's a chance to win some awesome freaky fae stuff -- from slashy fairy tales to dark short fiction. Awwwww yeah. Today I've been thinking a lot about genre, just from doing a lot of the adminny stuff that happens before a book sees the light of day for By the River. 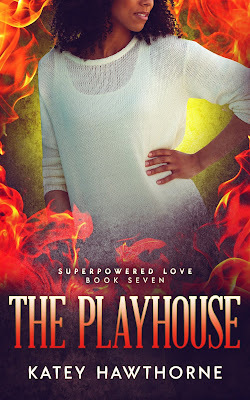 While I fully recognize that the superpowered stuff I do is extremely casual about its fantasy elements, there is a system for it, it is employed rigidly, and I definitely consider it paranormal romance, if extremely cracky and quirky. Yeah, I don't know. Let's just say I want to hug Loose Id for being all daring about my weird cross-genre tendencies. I think the best way to explain what's going on with it is to drop in a little snippet that I think encapsulates what the barely-there, yet crucial magic in By the River is about, and go with that. So here we go, an explanatory and totally unedited snippet -- proper (hot) excerpts soon, promise. This is Leith talking about his father with Adam. While running a bath for them. As you do. Leith said, "I know how it looks. Like Dad just keeps me under his thumb. But..." He swept his hand through the rising water again, adjusted the tap. "I honestly don't know what he'd do if I fought him on it. I wonder, lately. I've never even seen him get angry, not even once. Just, I know how he feels about it. And he knows I don't like to leave the river." "Did he ever say anything about that?" Adam asked. "No. School counselor tried to send me to therapy for it once. Dad told him to piss off, said if I liked the water, what was wrong with it?" That would explain a lot about Leith. Not for the first time, he was sure not for the last, Adam was a little bit ashamed to want to thank Mr. Marshall for his unorthodox parenting. And yet, "That's it?" "Yeah. Always seemed to make sense to him. There are some things we just... don't need to talk about, I guess." He put his hand under the tap and let it rush into him. It flowed over and around him normally at first, splattering wildly up and out and finally plummeting into the tub. But then the splashing died down, as if some unseen forcefield contained it or the water pressure had suddenly lessened. The water collected in Leith's palm, shimmering like clear mercury for an instant before it continued in powerful little waterfalls between his fingers. The volume and velocity hadn't changed, only the turbulence of the route. Adam shivered, skin pebbling. No matter how often he saw it, he couldn't quite get his head around it. Leith's casual defiance of the laws of physics was instinctively disturbing, but not troubling. It excited Adam's brain like an unexpected change of time or key in a song -- Stravinsky or The Beatles -- or a beautiful image he couldn't make sense of -- Escher or Dali. Weird and magnificent and revealing. At the same time, it was subtle enough that Adam could buy why no one at school, or even on the team, had ever remarked on it; those things, the weird, magnificent, revealing ones, were the things that people always ignored for the sake of their own comfort. Anyhow, sometimes miracles stopped seeming extraordinary if they happened every day. But Adam couldn't imagine Leith ever striking him as anything less than extraordinary, and therefore always noticed. Anyhow, it's sort of the opposite of contemporary fantasy. Instead of taking the real world and making it fantastic, it's taking the fantastic and making it real. It's contemporary. But weird. And then there's all the love, of course. I'll bring you some of that in a week or two, whenever I get the edits sorted. 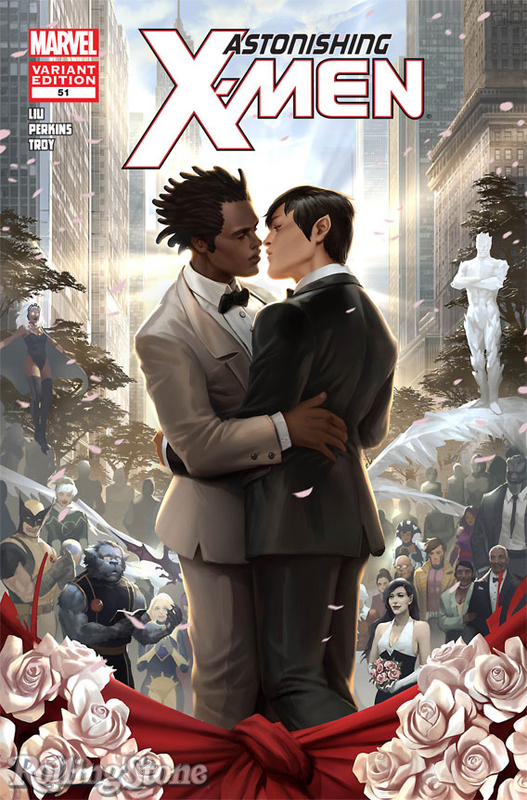 <3 Also, coming soon: comic book updates. 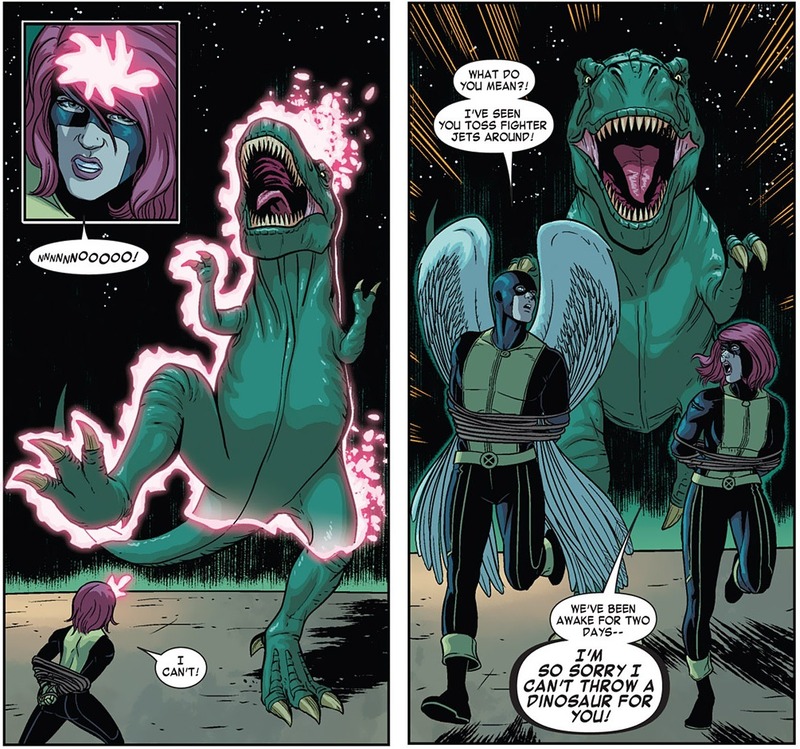 Yay, comics are awesome!